Right. 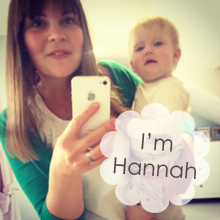 It’s 2 weeks since I started project ‘being Annabel Karmel’ now I’m weaning a baby and I’m actually loving it. 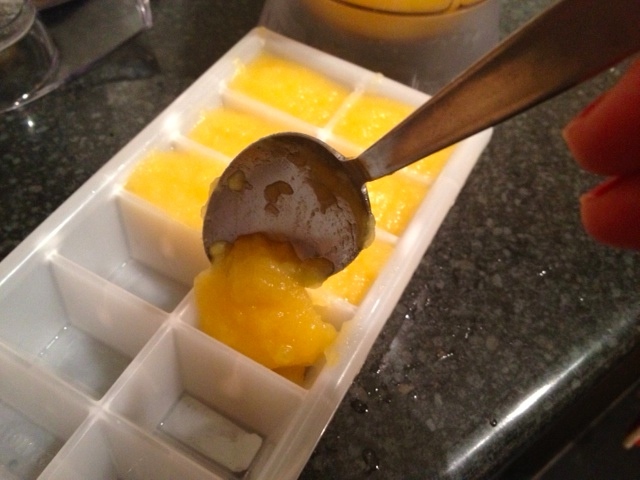 I have been really busy making baby food (while working out and on the odd occasion cleaning, of course!) and taking loads of photos, but I’ve got so much to say on the matter that I’ve managed to get bloggers block! I don’t know where to start. 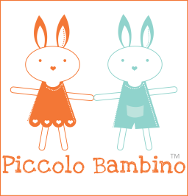 I still have to do all the other things I normally do – if this is to be a true test of the practicality of being Annabel Karmel, I can’t go on strike and only make baby food. AK wouldn’t. at any signs of a tantrum (mine) I must count to 10 and think ‘what would AK do?’ I imagine the inevitable answer will be to smile and make baby food (then clean the house, do the washing and work out). 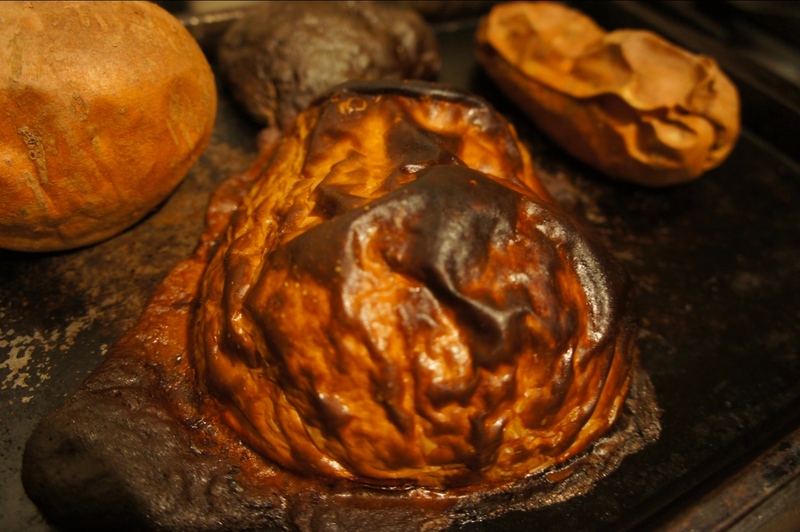 I’ve discovered I’m terrible at following instructions – even on the first evening I found myself making baked sweet potato and butternut squash (which I then left in the oven too long and only remembered when I heard it exploding – it still tasted LUSH though), when I was meant to be doing courgette. I’ve since given myself a talking to – no more willy nilly cooking without checking the bible . 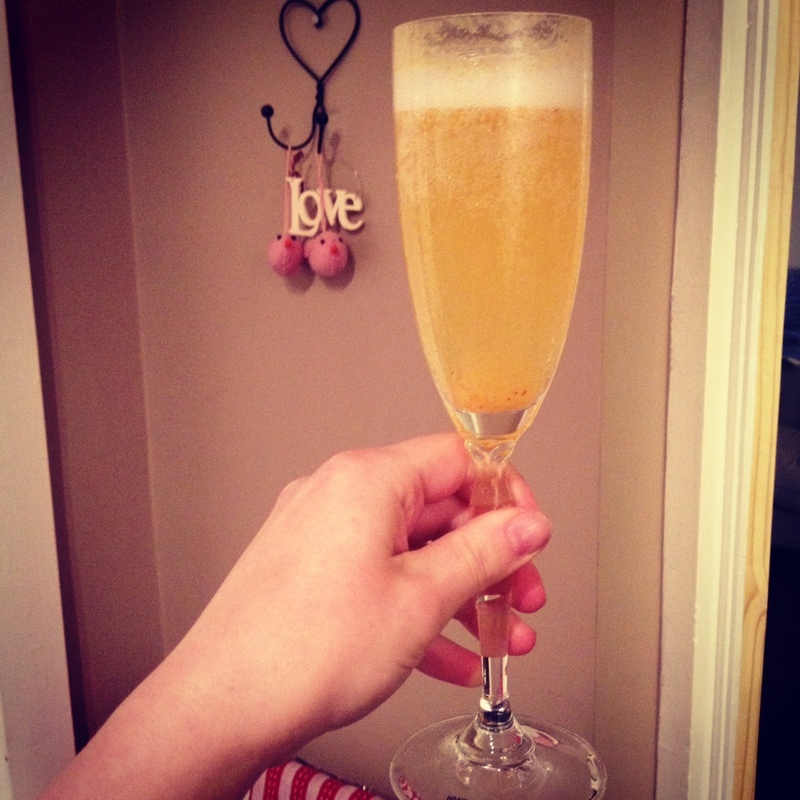 There were a few mornings to begin with when I had a tantrum brewing – “I can’t be bothered to blanch a peach. Why cook?! There’s banana’s in the fruit bowl and sweet potato in the freezer…” – but thank goodness for rule 4, it sorted me right out. As it should because cutting up a parsnip then steaming it for a few minutes literally couldn’t be easier. 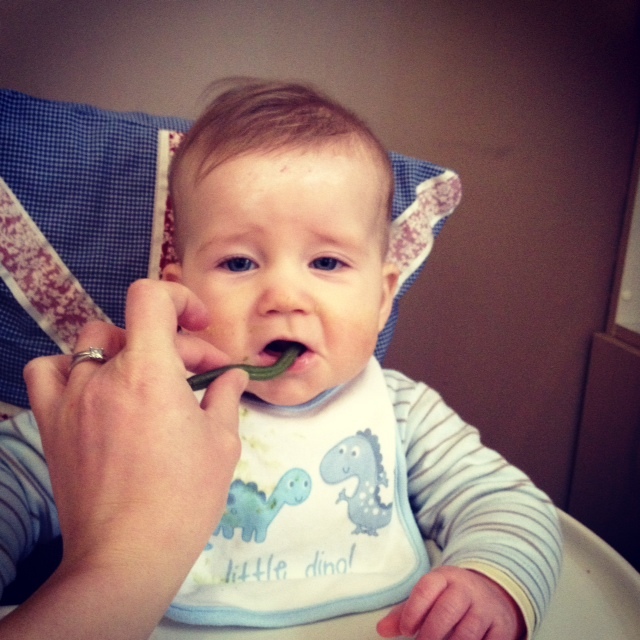 So, no more tantrums I’m weaning a baby here! 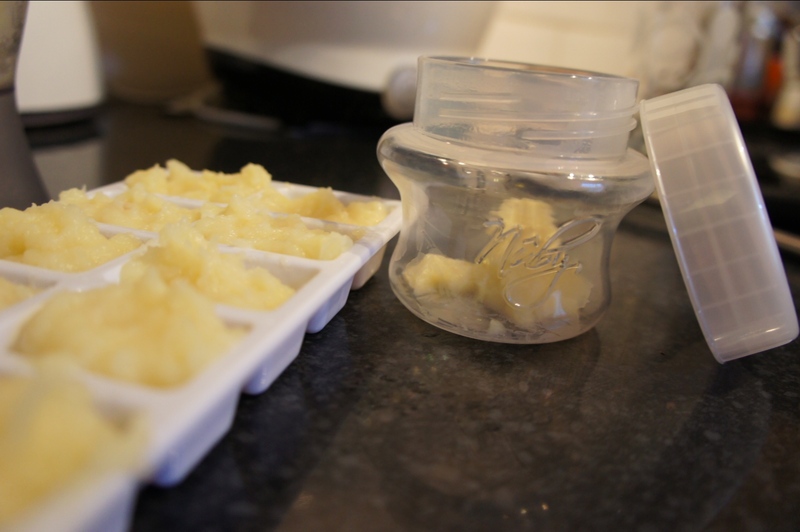 Parsnip ice cubes and a portion for lunch – I’m finding new uses for the store N feed Nuby breast milk containers! What I would say is I haven’t been able to actually follow rule 2 yet. This is because despite being half way through this project we’re still working through the ‘fruit and vegetables after first tastes accepted’ recipes! I could have this wrong but he’s meant to try and accept everything before we start mixing it all up together. Who knew there were so many different fruit and veg?! OK everyone. 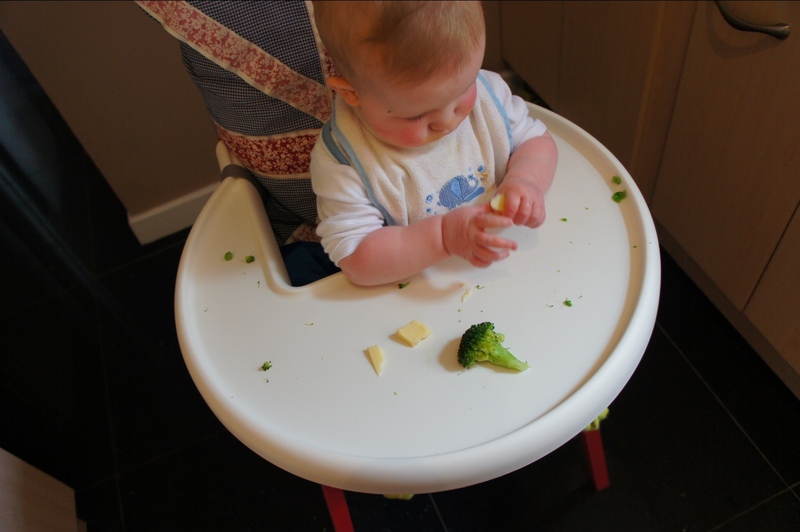 But when you’re weaning a baby and you break it down like this it seems endless. So before we can get on to the exciting stuff (although I have to admit we have cheated a bit and made home made baby veg stock and then used it in a vegetable medley – which was aMAZing) we’re working our way through all the individual tastes from parsnips to pepper to peaches to plums making sure he will accept them too. 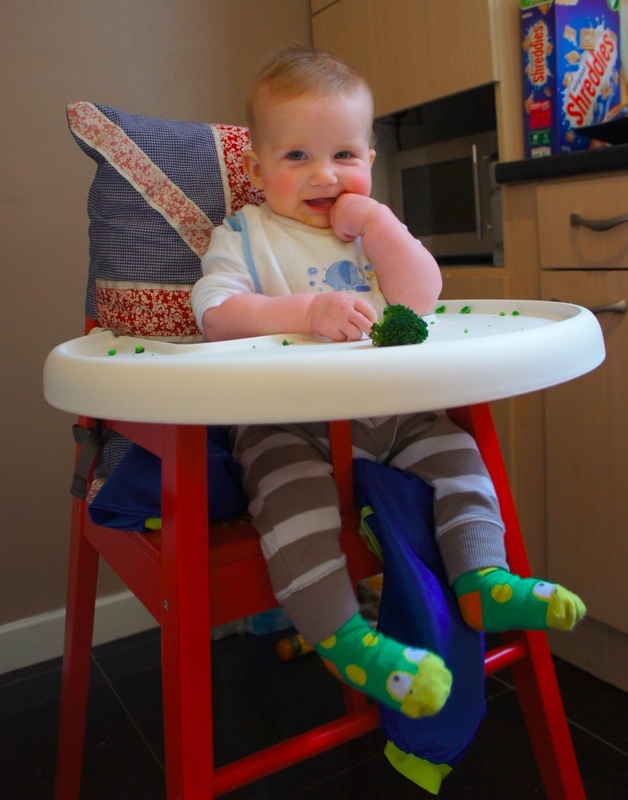 These are the tastes/recipes we’ve done since I last posted: avocado (yes-ish), pear (hmm), pear and apple (yes), potato (ok), peas (no), peas and carrot (ok), apple and cinnamon (YES), parsnip (hmm), courgette (yes), cauliflower (hmm), broccoli (yes), plum (yes), peach (yes), peach and banana (yes), peach and strawberries (yes), green beans (yes), mango (hmm), mango and banana (YES), strawberry and banana (YES), red pepper (yes but messy!). Tastes to try: cantaloupe melon, dried apricot, peach or prune (I don’t have or intend to buy a mouli…but then I thought AK would though so perhaps I should. After a disappointing visit to my disappointing town centre, I then discussed it with @BryonyTulloch and we decided a sieve might work, which was later confirmed by AK herself – so there you have it no mouli required! ), corn on the cob, spinach and tomatoes. Then it starts to get interesting! The highlights thus far have definitely been the fruity things and not just for Reuben. 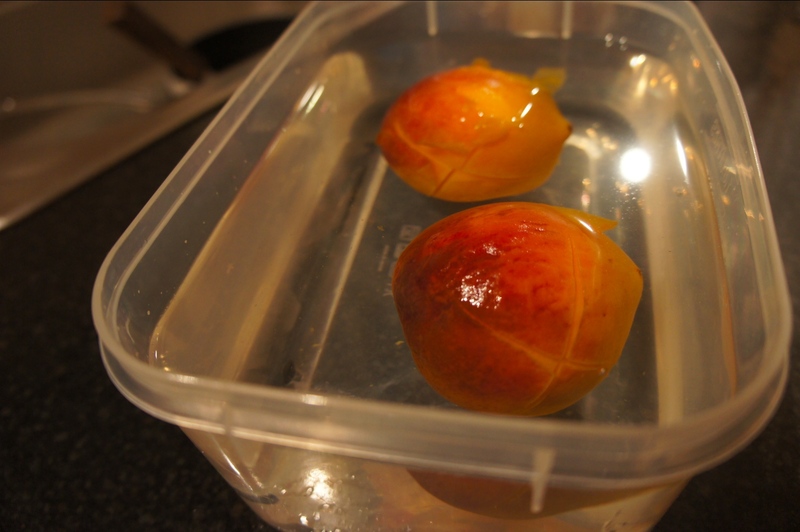 The minute I got over my peach blanching tantrum was an enlightening moment. 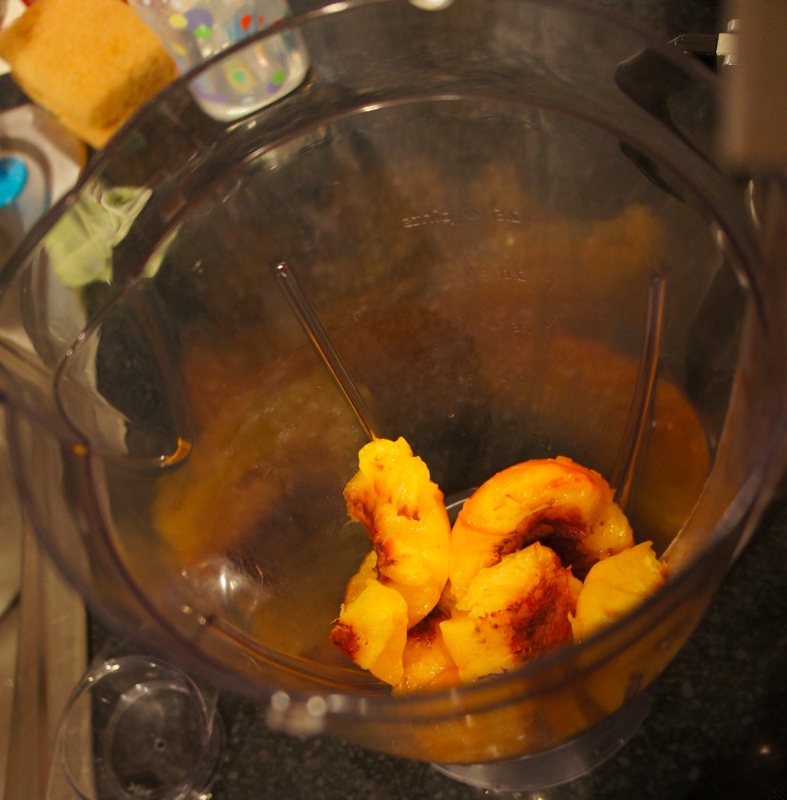 Pureed peach. What a joy to behold! 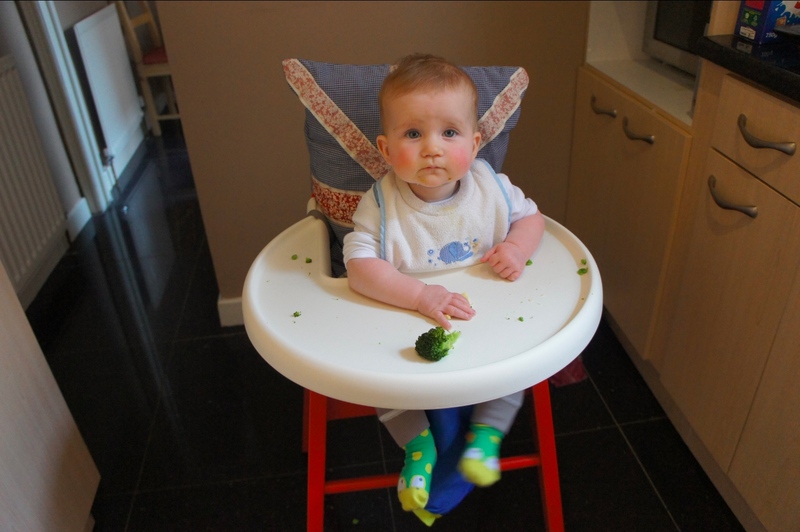 And here’s how you do it Annabel style (with a happy little Hannabel twist at the end!). 4. Remove skin and stone, and blitz! A couple of years ago I watched Julie/Julia the film about a woman who decided to make all 536 recipes in Julia Child’s catacomb of a cook book – Mastering the art of French cooking – in 1 year. I loved it so much my mum said I should really read the book. There was a lot more emphasis on the process Julie went through. She made a few dishes in the evenings and then blogged about it the next day. I was really inspired by her and this book is in fact the reason why I started blogging. She got to quit her job and become a writer! I’d forgotten all about the book until I saw Alice’s first Vlog. She said, whilst feeding gorgeous baby Hux, “not even Annabel Karmel has time to be Annabel Karmel”. This had me thinking about 2 things. Firstly, apart from the 2 leaflets the health visitor gave me when she came over to talk about weaning a baby, I hadn’t read a proper book about weaning Reuben. Apart from sleep, which I take VERY seriously, my approach to motherhood is fairly laid back. 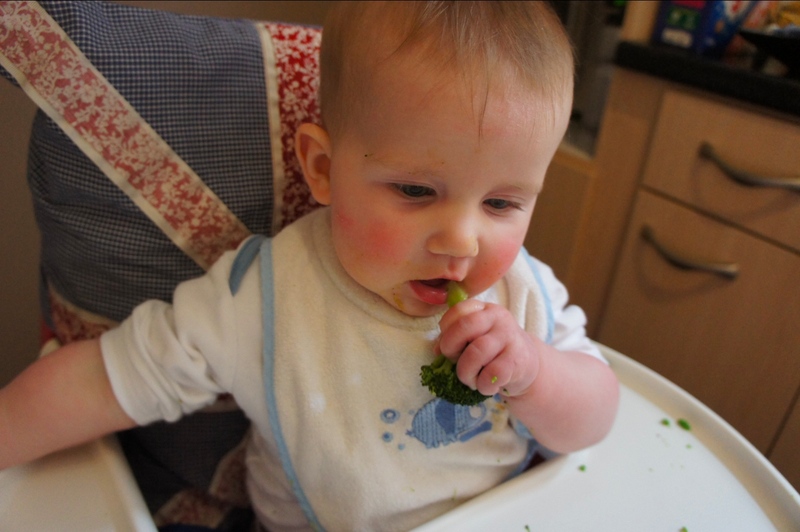 We have no allergies or eczema in the family so Reuben is low risk when it comes to food… I knew which foods to start with so we did just that. I hadn’t thought about the next stage though…the poor lad is going to look tangoed if he has any more orange root vegetables! So, Alice prompted me to actually have a READ (one of my new year’s resolutions), and I may as well read Annabel Karmel since she’s the only one I’ve heard of. 3) I still have to do all the other things I normally do – if this is to be a true test of the practicality of being Annabel Karmel, I can’t go on strike and only make baby food. AK wouldn’t. 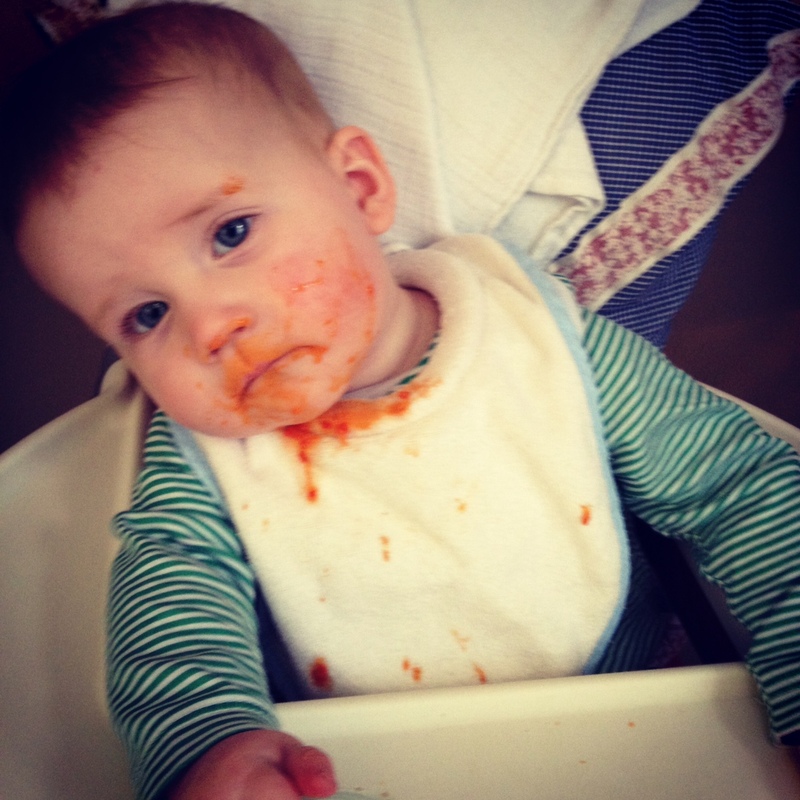 4) at any signs of a tantrum (mine) I must count to 10 and think ‘what would AK do?’ I imagine the inevitable answer will be to smile and make baby food (then clean the house, do the washing and work out). I imagine 2 possible outcomes. The first is I’ll have a meltdown and never cook again or I’ll become a domestic goddess and start baking (but not eating of course) cakes. So far Reuben has tried all of the ‘First tastes’ foods and suggested recipes apart from apple and cinnamon (apple cooked with cinnamon – remember to remove the cinnamon before pulverising! ), pear, 3 fruit puree (a combo of pear, apple and banana), parsnip and potato. So he’ll try these over the next few days and then get started on the “after 1st tastes accepted” meal planner on Thursday. At this stage, it’s pretty damn easy to make the foods up. 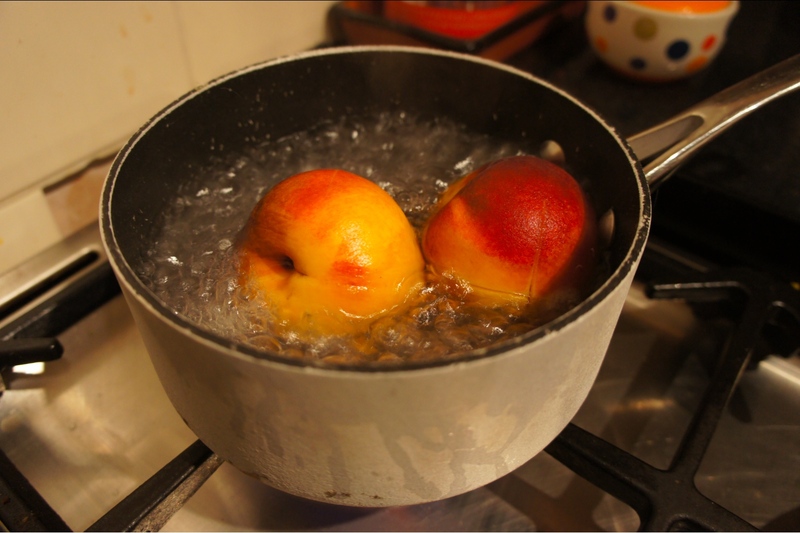 You peel and chop, then boil or steam, blitz with either water from the pan or milk (breast or bottle) and voila. Or you can add some more milk and baby rice to make it even more palatable for babby. A vine I made this morning – preparing pear puree! I think the main problem will be the amount of variety AK suggests – our fridge has never seen so many different fruit and veg at one time (all in danger of going off very soon) – so preparing the different meals will be time consuming. However, generally her recipes make around 4 servings and are nearly all freezable. We’ll see how long it takes to make the first couple of days meals, and how long the other servings last for us.